When I’m visiting a new place, I try and stop by the local farmers market, which always gives me a feel for the local community. But sometimes my Saturday mornings are jammed packed, and I can’t always make it to a Saturday morning farmers market. A short visit to Hendricks County, and I don&apos;t have to worry about missing out as Avon, Brownsburg and Plainfield, Indiana, all have evening farmers markets that either opened this month or will this week. 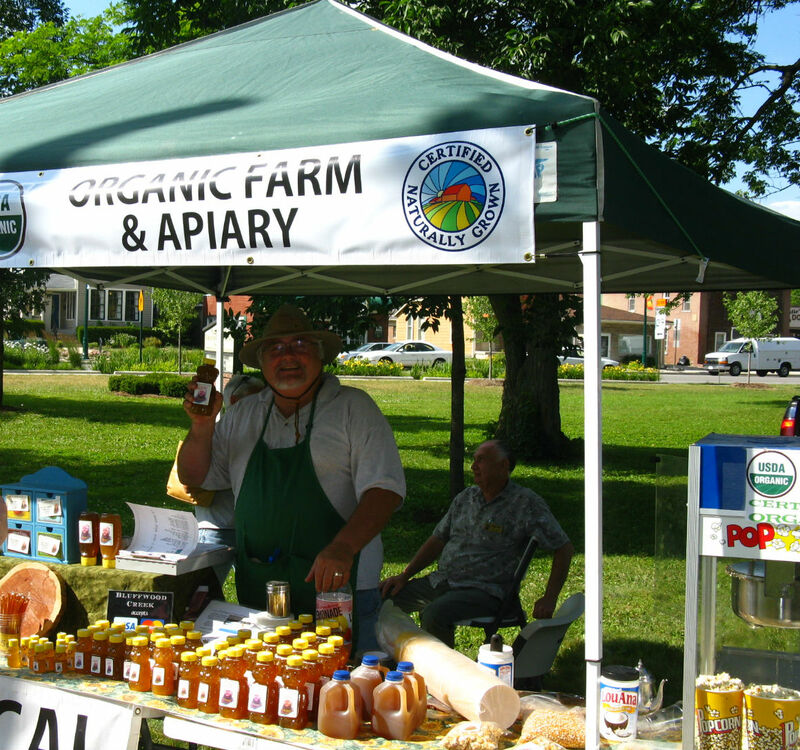 I recently visited the Plainfield Farmers Market with my dad. He was involved in the start up of the Carmel, Indiana, farmers market and served as a volunteer; so, I knew he would really enjoy visiting the market with me. Our visit was the first evening of the market and there were a handful of vendors there on an absolutely lovely evening. The market is newly located on the grounds of Plainfield Friends Meeting, and what a great site! Mature trees make for a scenic stroll on the historic Quaker grounds, and there is plenty of parking and restrooms available. A short walk to the vendors also makes it ideal for parents with small children or anyone who is not able to walk a long distance. We weren’t sure where to stop first but then we smelled fresh popcorn, and our first stop was decided for us. We found ourselves at Bluffwood Creek Organic Farm stand for a small bucket of popcorn, which was popped in coconut oil. So good! I also purchased a small container of honey ($2), which I&apos;ve enjoyed drizzled on vanilla ice cream (as recommended to me by Rob, Bluffwood Creek Organic Farm owner). Our next stop was Tina&apos;s Traditional Old English Kitchen, where I purchased a jar of strawberry conserve ($6) and talked to the owner, Tina, about Queen Elizabeth II&apos;s Diamond Jubilee (I’m an anglophile). My great-grandmother was English, and she used to make strawberry conserve. So, I couldn’t resist trying this one. The strawberry conserve (like a thinner jam, but with mostly whole strawberries) was terrific, especially on a slice of toasted bread or on an English muffin. My dad and I walked around the market for about a half an hour and snapped a few pictures. 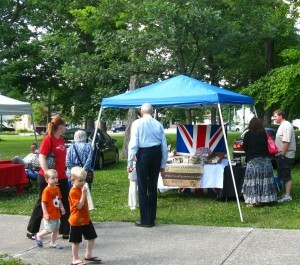 We had fun chatting with some of the visitors and a few of the vendors. It’s just the beginning of farmers markets in Hendricks County, and I’m looking forward to what’s coming up and visiting more vendors. Plainfield Farmers Market - 4 to 7 p.m., Wednesdays through late September, 105 S. East Street (S.R. 267 N. & U.S. 40). Don&apos;t miss out on a visit to these other weekday evening markets: Avon Farmers Market - 4 to 7 p.m., Tuesdays through Sept. 18, in the parking lot of the Avon Hendricks Regional Health (along U.S. 36, just east of Dan Jones Road). Brownsburg Farmers Market - 3:30 to 6:30 p.m. Thursdays (beginning June 14) through Sept. 6, at Brownsburg Town Hall. For more information, be sure to check with the websites and markets for other activities, such as live music and demonstrations. 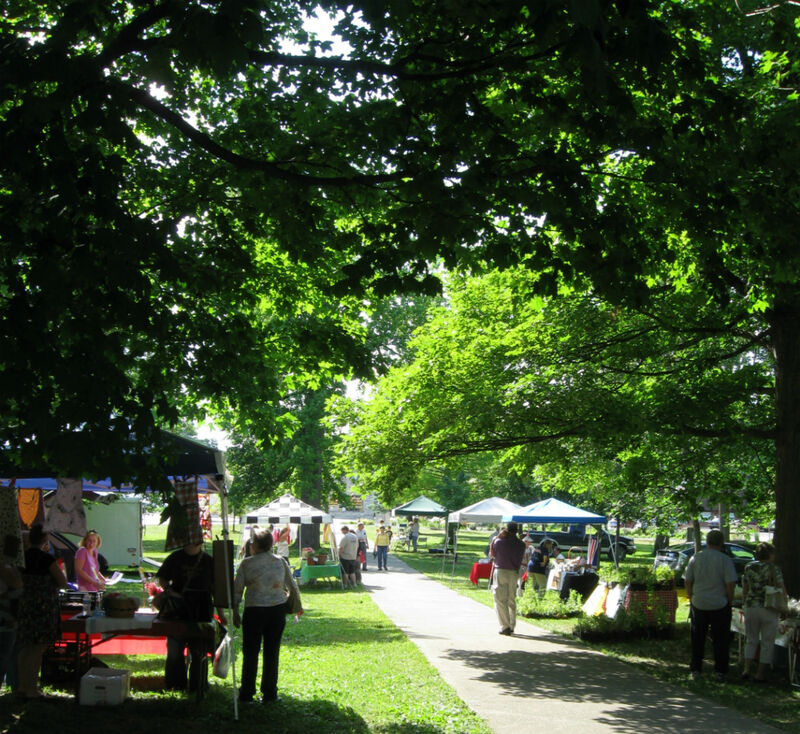 Do you have a favorite vendor at one of the Hendricks County farmers markets? I’d love to know. Leave me a comment.